A German-style apprenticeship program is gaining momentum in Georgia. 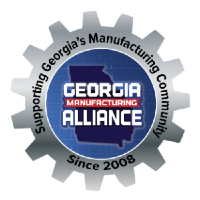 Details will be shared at the upcoming Georgia Manufacturing Summit. E.G.O. North America, in Newnan, GA, is the U.S. headquarters of a German company that manufactures heating elements for commercial and industrial facilities. Their CEO, David Keller, is helping launch an apprenticeship program in conjunction with the school board of Coweta County. The program is modeled after the apprenticeship programs that have been in use in Germany for the past 100 years. Jason Moss, the founder of the Georgia Manufacturing Alliance (GMA), a grassroots organization created to promote, educate, and connect Georgia manufacturers with one another, recently met with Keller and Mark Whitlock, a representative of the Coweta County school system, to discuss how the GMA could help promote the apprenticeship program to other companies and schools across Georgia.